There are 18 cat videos tagged with wild-cat-wednesday. Two three-week-old cheetah cub sisters hang out at the San Diego Zoo Safari Park. Their mother was unable to raise past litters so the staff at the zoo are taking care of the cubs around the clock. Each cheetah will be paired with a dog for companionship! 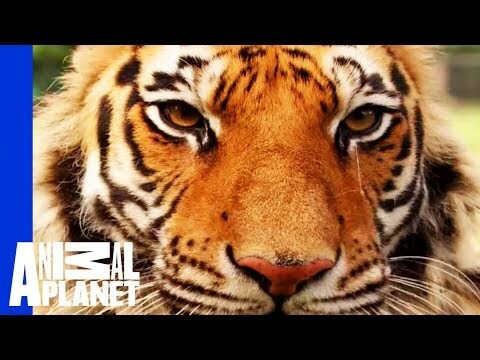 This wild trio is made up of a bear, a tiger, and a lion. They were found in an Atlanta home during a drug raid and were in very bad shape. All had parasites and were very malnourished. The story had a much happier ending three were taken to non-profit Noah's Ark in Locust Grove, Georgia where they still live today happier than ever. Baloo, Shere Khan, and Leo are inseparable and love playing and grooming each other. Look at the claws on this gorgeous black panther! We would not want to be anywhere near those. This big cat lives at the Philadelphia Zoo, in their Big Cat Falls exhibit. Did you know that lions, tigers, leopards, and cougars like watermelon? 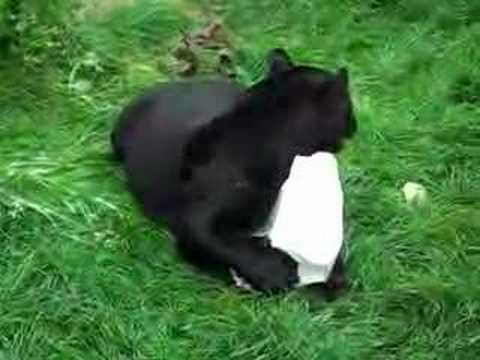 Not only do they like to eat them, but they make some good enrichment toys as well. 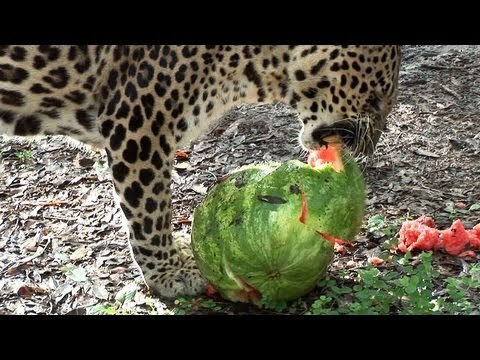 At Big Cat Rescue, the staff gives watermelons to the cats every summer and love it! 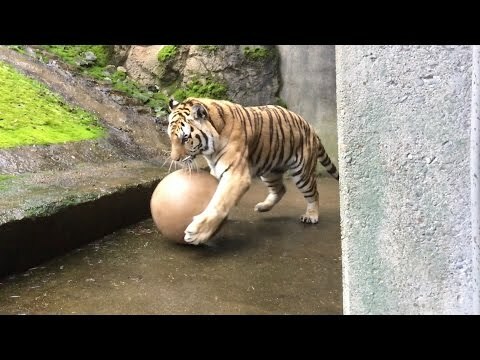 At the Oregon Zoo, an Amur (Siberian) tiger named Mikhail has keepers who work to keep him active. He bats a giant ball around just like he's a kitten with a ball of yarn. In this video taken at the Prague Zoo in Czech Republic, we get a glimpse of some adorable jaguarundi cubs. The jaguarundi is an adorable wild cat that resembles a large weasel or an otter. They are native to Central and South America, as well as Texas but there have been sightings in Florida as well. 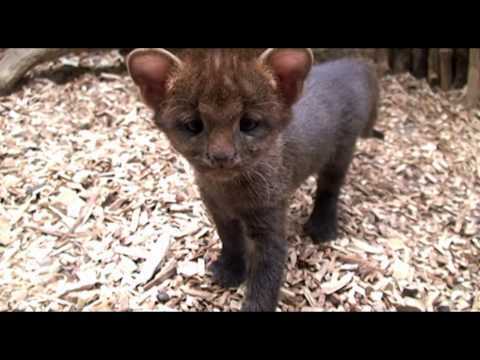 Watch another cute jaguarundi kitten video here. In this heartwarming video taken at the San Diego Zoo Safari Park, watch as lion cubs meet their dad for the very first time! It’s adorable to watch their initial timid attitudes towards their dad evolve into a sweet and playful display of affection. 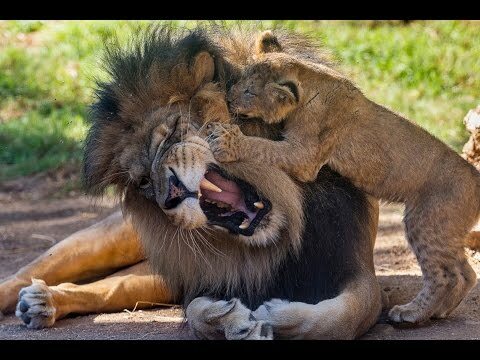 Their dad shows off his strength with a few roars but it’s all just fun and games!